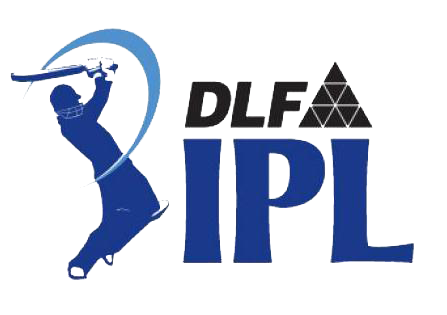 The fourth edition of the Indian Premier League will be held from April 8, 2011 to May 22, 2011. It will see ten teams play out this time, after the first three editions of the tournament had only eight sides each. And what’s more, there will be a total of 74 games to be played for the tournament. As a fan, you will be able to watch the cricket matches in the IPL at the various venues, which have also been increased this time. You can buy the tickets for the tournament from the official IPL partnering sites – KyaZoonga.com, BookmyShow.com & Ticketgenie.in by either selecting the team or the venue at which you want to see the games. Interestingly, there was also an option of buying bulk tickets for all the games your favourite team will play in the tournament at home during the first IPL. It would need to be seen whether the same options of buying a season’s pass of tickets is allowed even this time. 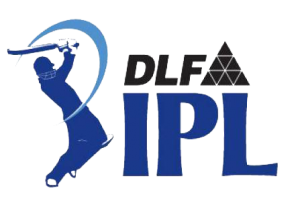 IPL 2011 tickets online – Buy IPL 4 tickets online team-wise by following the links below. Kings XI Punjab Matches 2011 T20 Cricket book tickets online here. The tickets for the Kings XI Punjab games for the fourth edition of the Indian Premier League are now up on the sites of Bookmyshow and you can book the tickets from the site. Punjab had qualified for the semi-finals of the IPL in the first edition but after that in the IPL 2009 and 2010, the side has had two very poor performances, which means that they need the support from the fans. And to support the Punjab side, it will be imperative that you go and watch the games in the stadium. Interestingly, the fans have a choice of venues when one speaks of watching the Punjab IPL games from the stadium. For one, there is the Mohali stadium in Punjab, whereas apart from that the fans can watch the games in Dharmasala as well. So, Kings XI Punjab fans, do not wait for long, you can watch the Chennai, Rajasthan, Pune and Mumbai games at Mohali and Delhi, Bangalore and Deccan matches at Dharmasala. Kings XI Punjab Schedule in IPL 4- KXIP Fixture IPL 2011 Season is placed below. Deccan Chargers Matches 2011 T20 Cricket book tickets online. Winners of the second edition of the IPL in South Africa in 2009, the Deccan Chargers will look to ensure that they can get going with this edition as well and get to the top four of the tournament. And to do that, the side will hope that they can get enough support from the Deccan Chargers fans, who will buy the Chargers tickets and come to the stand. Deccan Chargers have had an up and down kind of an IPL so far which should make it interesting for the Deccan fans as well. They will be hoping that the new team which has come into the squad will do well to get going and in return the Chargers will hope that their fans can buy the tickets for the games at the Rajiv Gandhi International Stadium in Hyderabad and watch the game. Deccan Chargers are partnering with Ticketgenie to sell their tickets online and you can buy them here at very reasonable rates in the tournament. Ticket prices and online booking of IPL 4 2011 Rajasthan Royals matches at Jaipur stadium information is placed here. Rajasthan Royals may have won the first edition of the Indian Premier League in 2008, but after that they have fizzled out rather badly. What the side will be looking for is a good set of performances in the tournament and also some support from the fans who may want something much more after the controversies of the last year. So, support the Rajasthan Royals side by watching their games in the stadium at the Sawai Man Singh Stadium in Jaipur. To watch the Rajasthan games in the stadium, you can buy your tickets from the official partner for the Rajasthan Royals side, BookmyShow. Ticket prices and online tickets for IPL 4 2011 Mumbai Indians matches at Wankhede and DY Patil stadium information is placed here. If you are a Mumbai Indians fan and you are looking to watch the Mumbai Indians games from the stands, look no further than here. You can buy all the tickets for the Mumbai Indians games from their official ticketing site, BookmyShow and ensure that you watch all the seven home matches for Mumbai from the stadium. Delhi Daredevils IPL 2011 Tickets Information for Feroz Shah Kotla Stadium is placed here. The fourth edition of the IPL will be played from April 8 and all the tickets for the tournament can be brought from the official site of the tournament, BookmyShow. Delhi Daredevils will play their home games at the Feroz Shah Kotla and you can watch all those games from the Kotla if you buy the IPL Delhi tickets from the official site. Tickets will also be sold at Feroz Shah Kotla Stadium ticket counters. Ticket prices & online tickets for IPL 4 2011 Kolkata Knight Riders (KKR) matches at Eden garden is placed here.While the World Cup action unfolds, this could just be an excellent time to plan ahead for the IPL. The IPL will see ten teams play in the fourth edition and will begin from April 8. And if you are a Kolkata Knight Riders fan, this could be an excellent opportunity for you to shun the queues and get your tickets online from the Ticketgenie – the IPL’s ticketing portal. All you Chennai fans need to do is to get to the stadium and cheer for the Chennai Super Kings. To buy the stadium tickets, you will only need to log online on to Chennai Super Kings Official Website and purchase the tickets for the Chennai games based on the IPL schedule. Tickets on Sale for Chennai Super Kings opening match against Kolkata Knight Riders from today (March 24) at the at the MAC Stadium, Chepauk from 9-30 a.m. to 1 p.m. and from 2 p.m. to 6 p.m.. You can also book your Tickets online using the link mentioned above. You can buy Pune Warriors India IPL 4 season tickets for the Pune IPL matches from Kyazoonga. The games will be played in one of the two stadiums for the home Pune games – could well be shared between the new stadium coming up at Pune and the one at Dr DY Patil Stadium in Navi Mumbai. Ticket price & online booking of IPL 4 2011 Royal challengers banglore, RCB matches at chinnaswamy is placed here. The Royal Challengers Bangalore will look to improve upon their fourth-place from the previous edition of the IPL. And to do that, they could do with all the support that they can muster in the stadium from the fans. To cheer for the Bangalore side, especially from the stadium, it will make sense for you to buy the tickets for the Bangalore game from the official site, Ticketgenie. You can get to the stadium in hordes and make the noise, make the music and ensure that the Royal Challengers can up the ante on their opposition. The Royal Challengers will play all their games at the M Chinnaswamy in Bangalore and you can buy the tickets for this stadium for the IPL through the IPL-partner sites. Bangalore will play seven games at home and seven away from home and if you want to follow your team from out of the city as well, you can do that by buying Bangalore game tickets from the same site. If you are a Kochi fan or if you get perverse delight in watching S Sreesanth being bashed to all parts of the ground, you must go to the grounds to watch the Tuskers play. And to do that, please buy Kochi Tuskers Kerala tickets at Kyazoonga. Federal bank which is the official ticketing partner for matches held at Jawaharlal Nehru Stadium Kochi will also provide tickets to the matches in select branches of the Bank and website starting from April 5, 2011. I HAVE 10 TICKETS OF THE 20th April MATCH (MI v/s Pune Warriors) of face value Rs 2500/ticket- EACH . CONTACT No: 9819906088. Ready to give at low prices if taken all. Hurry Contact me as soon as possible for tickets of Delhi vs Deccan match at 19 April …. I have ipl tickets for all matches in chennai.My name is Rahul. My mobile no is 9962678007.Reasonable rates.please feel free to call me..
All variants such as 500,750,1750 and so on. Can anyone tell me how you get tickets to the IPL 2011 2nd final and final in Chennai on the 27th & 28th of May? Are tickets on sale at all – or are they already taken my promoters and movie stars? i have got 5 tickets of MI vs DD, 7th may, saturday, wankhede stadium, sunil gavaskar stand, awesome view. face value of the ticket is 1250 and i am selling it for 2700 each. the tickets of this match are sold out on all the websites. so call ASAP on nine nine seven zero two eight one six four two.. 9970281642.
i want cost of final ticket of ipf. DD Vs MI 7th May @ Wankhade — 7 tkts available @ Face Value 1300 per ticket (1250 + 50 delivery charge from bookmyshow). We are a large group watching the match and there have been 7 cancellations. Available 5 tickets of 7th may MUMBAI INDIANS vs DELHI DAREDEVILS wankhede stadium, face value of the ticket is 1250. Selling price 2500 each. Call on 9970281642…………………..
DD Vs MI 7th May @ Wankhade — 1 tkt available @ Face Value 1300 per ticket (1250 + 50 delivery charge from bookmyshow). I have one extra ticket for 7 th may Mumbai Delhi match in Mumbai. Call me at 9867855168, if interested! 5 tickets of MI vs DD, 7th may, saturday, wankhede stadium, sunil gavaskar stand, awesome view. face value 1250 selling price 2500 each. the tickets of this match are sold out on all the websites. 9970281642. tickets will be handed over immediately. MI vs DC 14th May (10 Tickets) North Stand and Sachin Tendulkar Stand…..
MI vs RR 20th May (6 Tickets) Saching Tendulkar Stand….. I HAV 8 TICKETS OF MUMBAI INDIANS VS PUNE WARRIORS MATCH ON 4TH MAY OF D.Y. PATIL STADIUM…..!! I have an extra ticket for the Mumbai-Delhi match on 7th May in Mumbai. Ticket is priced at Rs 1300 for Vijay Merchant stand. If interested, plz mail me at kunalagr@yahoo.com. I have 2 extra tickets for the RR vs csk match on wednesday in Chennai. 9884977462 only texting no calling. 5 tickets available 7th may match mumbai vs delhi, wankhede. best seats all in a row. face value 1250 selling price 2200(slightly nego).. i brought d tickets for 2400 each but since our family is moving out of mumbai on 7th i am selling the tickets off 2200….call soon before the tickets get sold out… 9930547321..
McDowells No1 Platinum Stand – (N) Stand. WANKHEDE STADIUM. STARTS AT 8P.M. I AM NOT A BLACKKER. I HAVE “ONE” “1” EXTRA TICKET. REAL PRICE: 1875. SELLING AT: 1875. SACHIN TENDULKAR STAND. LEVEL 1. T BLOCK. CONTACT ME ON 9819807234 FOR THIS SINGLE TICKET. I have 2 tickets for RCB (Bangalore) Vs. KTK (Kochi) on 8th May 2011, at 4.00 p.m for N stand which includes food. The list price is Rs.2750 for which I paid Rs.3500 but now unable to go. If interested in buying please call 9663800006. Need 2 tickets for IPL MATCH BETWEEN RCB VS KKR ON 14TH MAY 2011. I have Stand A, Stand N and P1/P3..
Have 1 ticket to Mumbai Indians Vs Deccan Chargers match at Wankhede on May 14, 2011. Ticket price- 1250, selling at same price. Vijay Merchant Stand. IPL tickets for match between Mumbai Indians and Deccan Chargers. !! !JUST 2 TICKETS LEFT !! Tickets available for IPL Final match !! if ur in need of tickets do call me!! 2).I have 6 tickets of IPL Final on 28th @ Chennai. Ticket will be delivered in Mumbai or Chennai or anywhere in India. Prices range from 3000 to 9000 all the best stands i have. I have 4 tickets for Bangalore vs Chennai. wld cal u soon . . . I have Tickets for Sunil Gavaskar Stand, Level 1. Collection from Ghatkopar or Navi Mumbai At your option. Tickets available for semi finals on 27th contact immediately!! Selling Price 1300 per ticket, Sunil Gavaskar Stand. Little negotiable if buying in bulk. north stand 30-35 passes available and sunil gavaskar stand and vijay merchant passes also available. semi final 1 tickets available guys..
tickets r of sunil gavaskar stand n of face value 1000..
watch 2 best teams playng 2gethr..
Collection from Churchgate, Ghatkopar At your option. I have 4 tickets to be sold for the IPL 2011 Playoffs, Qualifier 1, scheduled for 24th May 2011, between RCB & CSK at Wankhede Stadium. The tickets are of Sunil Gavaskar Stand, Level 1, Block L (Deep Long Off View). Anybody interested to purchase the tickets pls call soon!!! need to sell it urgently..
only 2 tickets left for CSK VS RCB MATCH AT WANKHEDE on 24th May..
and 4 tickets left for THE BIG MATCH MUMBAI INDIANS VS KKR on 25th May..
CHEAP! CHEAP! CHEAP! CHEAP! CHEAP! CHEAP! Tickets goin a lot cheaper my frndz. . . .
Semi Final Tickets Available Guys..
tickets r of sunil gavaskar stand n of face value 1100 + taxes..
giv me call on 8652208906 ,8652208902.. I HAVE LAST TWO TICKETS OF TODAYS MATCH OF BEST VEIW OF FACEVALUE:1500 EACH………..
tickets available for finals and qualifier2!! ALL 4 TKTS I WANT TO SELL TOGETHER. DO CONFIRM N TAKE UR DELIVERY OF TKTS IMMEDIATLY……..
ATLAST ALL MY TKTS ARE SOLD!!!!!! I have 6 Tickets only for Sunil Gavaskar Stand, Level 1. Ask Rate = Rs. 1250 till tickets last. i want 4 1500rs ipl finals tickets…! !if sumbody hav plz contact me on 9600044088..! Few tickets available for finals call and grab them soon!! hey…i have 2 abc lower tickets for the eliminator match in chennai…each ticket is priced at 1500rs!!! price negotiable for bulk buiers…. dont miss out on the offers posted on our site as well. thank you. Where can i purchase champions league tickets from?? I would like to exchange cricket link with you to promote by blog for your site.